Plagued by stock-outs and poor inventory visibility? Here are a few practical best practices and technologies that can significantly improve inventory management inside today’s rapidly evolving warehouse and DC operations. If the notion of folding flying drones into your warehouse inventory management approach sounds far-fetched, think again. In August, Massachusetts Institute of Technology (MIT) revealed a new way to combine drones and RFID technology to improve stock-keeping processes. Dubbed “RFly,” the system enables small, safe, aerial drones to read RFID tags from tens of meters away while identifying the tags’ locations with an average error of about 19 centimeters. MIT researchers envision the system being used for continuous monitoring, to prevent inventory mismatches, and to find the location of individual items in large warehouses. By incorporating drones and RFID into the stock-keeping process, shippers may be able to more effectively optimize inventory levels, reduce stock-outs, improve stock visibility, track orders, and reduce the possibility of human error. Of course, solid inventory management doesn’t require an unmanned aerial vehicle and individual RFID tags. In fact, there are several best practices and technologies that, when used on a standalone basis or combined with other platforms, can significantly improve inventory management for today’s warehouses and DCs. Following are six of them. 1.) Before you invest, explore your current systems. “Inventory management doesn’t have to be overly complicated,” says , managing director at the supply chain consulting firm . In many cases, for example, it can be as simple as having an inventory management system that incorporates bar-coding and, in turn, enables real-time visibility of inventory. 2.) Start by establishing bin-level inventory controls. It sounds simple enough in theory, but , president at Boston-based , says that this is a step that many shippers overlook. “Focus on knowing exactly what’s in every bin in the warehouse in real-time, all the time,” Hobkirk says, noting that a warehouse management system (WMS) is the best tool for the job. 3.) 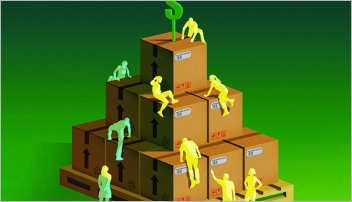 Fold demand management and inventory optimization into the mix. For customers to be happy, inventory has to be in the right place at the right time. Carry too much of any SKU in the wrong place and you could wind up losing money and negatively impacting customer service. 4.) Consider adding GPS technology to your inventory management lineup. 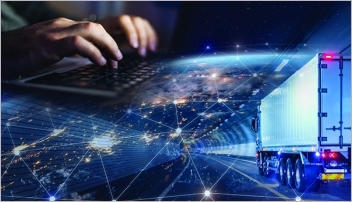 Most often used for vehicle navigation, satellite-based navigation systems are also being used to manage inventory in the supply chain. Saenz says he recently worked with a battery distributor that was using the technology to track inventory in its supply chain, and that the GPS system reports on the status and actual performance of inventory for the company. 5.) Give wearable scanning devices another second look. Wearable computers are helping today’s warehouse and DC workers become more mobile, hands-free and accurate in a world where smaller, more frequent orders are making their jobs more challenging than ever. But even with the proliferation of wearable scanning devices on the market, Hobkirk says a lot of logistics professionals are overlooking the technology’s true value. These devices help with accuracy and control, but we don’t see them being used as widely as they could be,” says Hobkirk, who sees a high volume of shippers using handheld scanners for inventory management. Because operators have to physically pick these devices up—and then look at them and put them back down—companies miss out on the benefits that hands-free technology provides. 6.) Start thinking about artificial intelligence (AI) and machine learning. 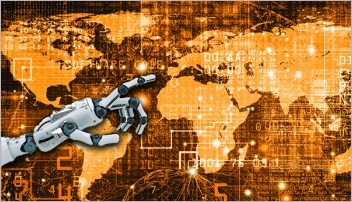 ARC’s Banker says that he’s beginning to see AI (computer systems that can perform tasks that normally require human intelligence) and machine learning (AI that gives systems the ability to automatically learn and improve from experience without being explicitly programmed) applied to demand management solutions—a trend that could help improve forecasting for select time periods. Since it was founded in 1924 by a small group of Chicago hardware store owners, , has had quite an impact on the retail landscape. Early on, for example, it began allowing individual stores to purchase merchandise in bulk in order to save money and to buy at the lowest possible price. This arrangement helped even the smallest stores compete more effectively in a marketplace where large, national retailers tend to have the biggest buying power. 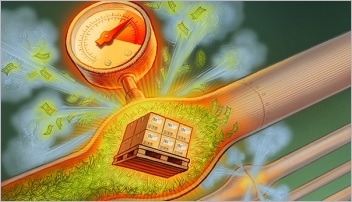 Brian Cronenwett, vice president of international logistics for the Oak Brook, Ill.-based hardware retailer, says that initiative was driven by the need to improve fill rates for its international retailers while also reducing stock-outs by 40%. Using its new system, the retailer has eliminated about 80% of the time it once took to create POs for its vendors. And armed with the system-generated data—plus more time to do their jobs versus just creating POs—the company’s analysts are taking a more proactive approach to inventory management.